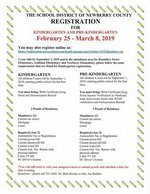 3 year olds by September 1, 2019 and in the attendance area for Boundary Street Elementary, Gallman Elementary and Newberry Elementary, please follow the same requirements that are listed for Kindergarten registration. 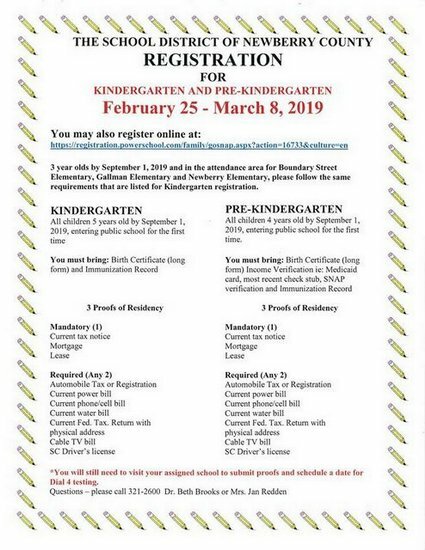 All children 4 years old by September 1, 2019, entering public school for the first time. *You will still need to visit your assigned school to submit proofs and schedule a date for Dial 4 testing.